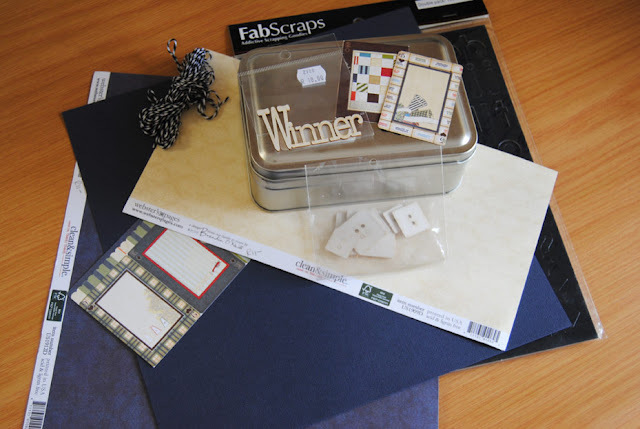 Hi all, today I am back with a Gift Box tutorial for Scrapbook Studio, I really hope you like it!!! 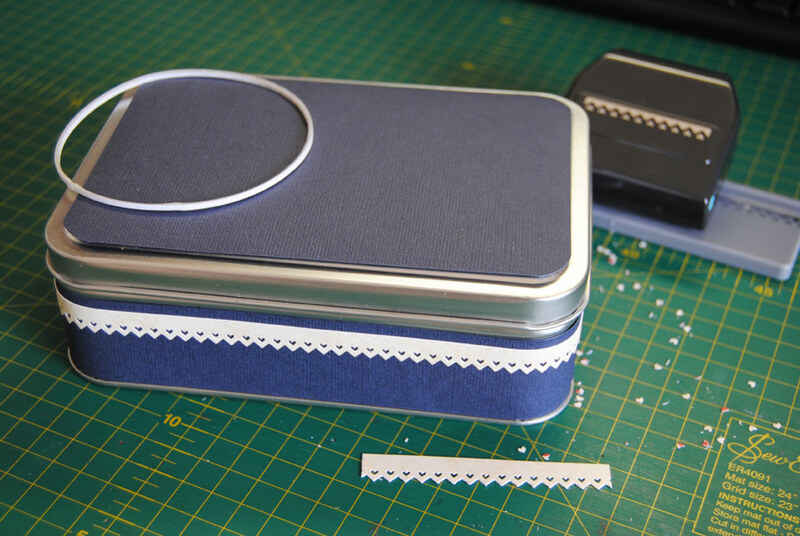 For this tutorial I decided to do something completely different from my previous tutorials. 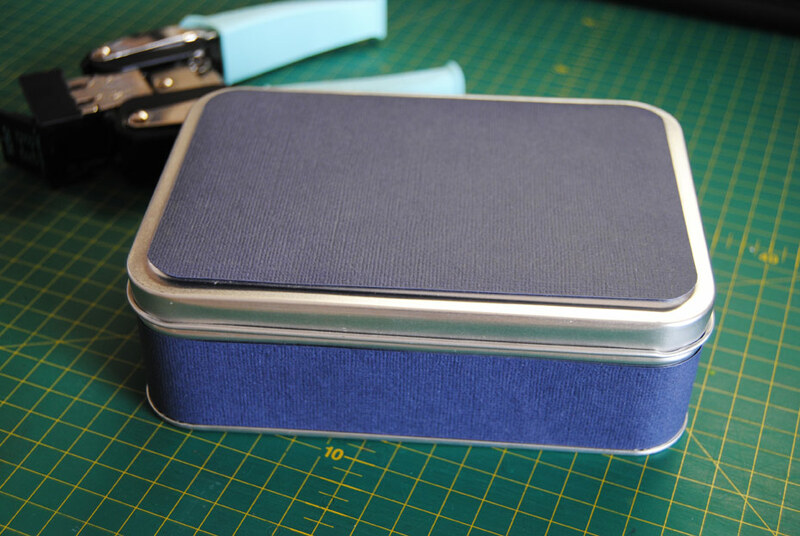 I grabbed a tin that has been lying in my drawer for ages, and decided to make a gift box. 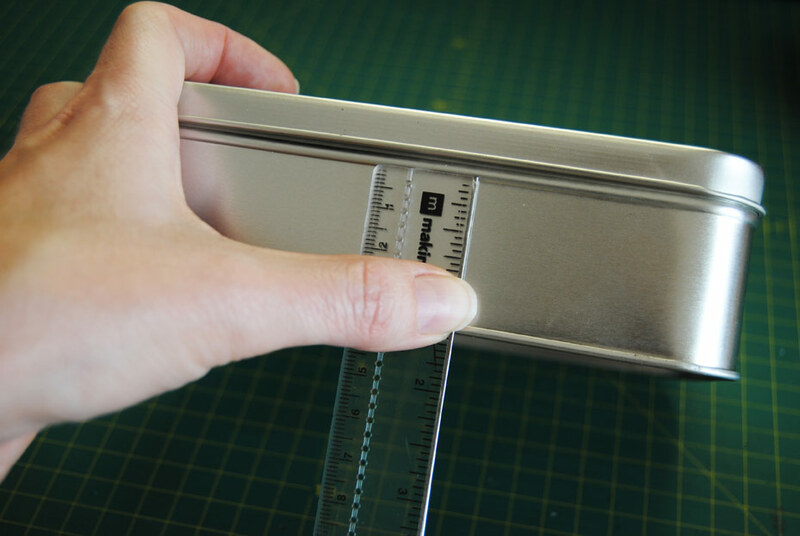 This tutorial will work with any box, you would just need to adjust your measurements accordingly! 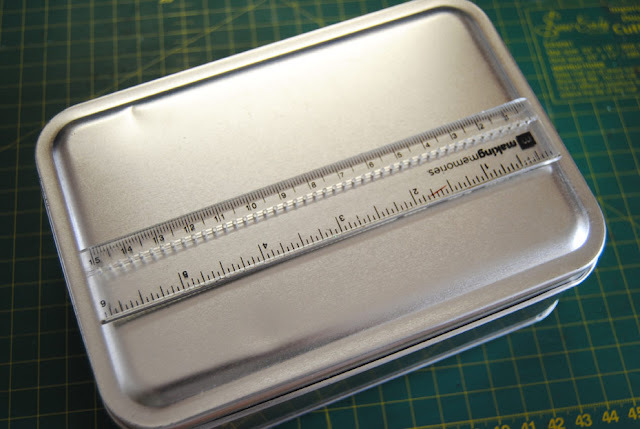 I took the measurements of the base of the tin, and of the lid. In my case the measurements of my box were: Base 3.3cm (I cut this the width of the 12x12 cardstock) the top of my box measures 10.2cm x 15.4cm. I cut the strips and the piece for the top. 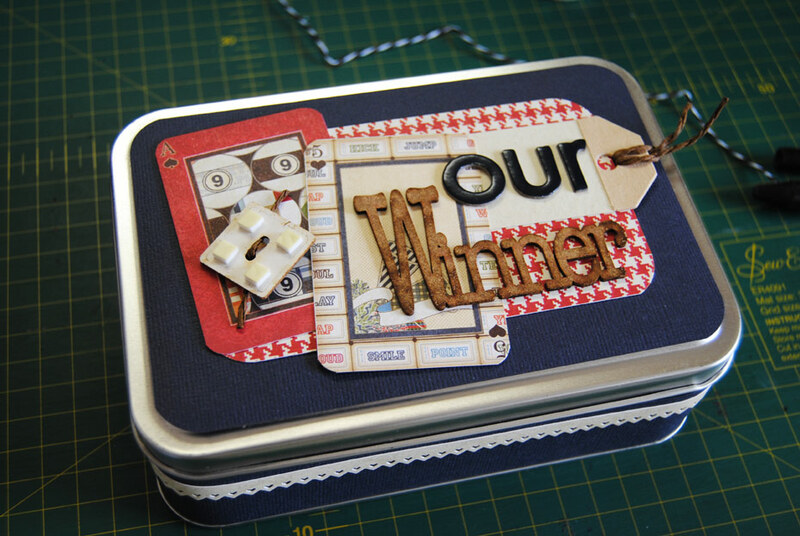 I used my very trusty (and well loved) Crop-A-Dile Corner Chomper by We R Memory Keepers to round the corners of the top piece. 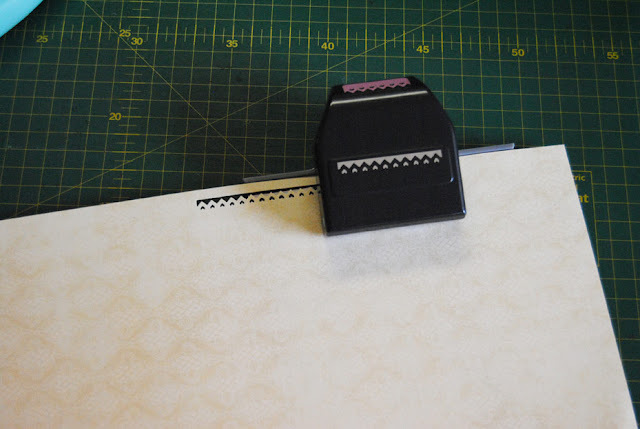 I use double sided tape on the top and around the sides of the box to secure the pieces of cardstock. 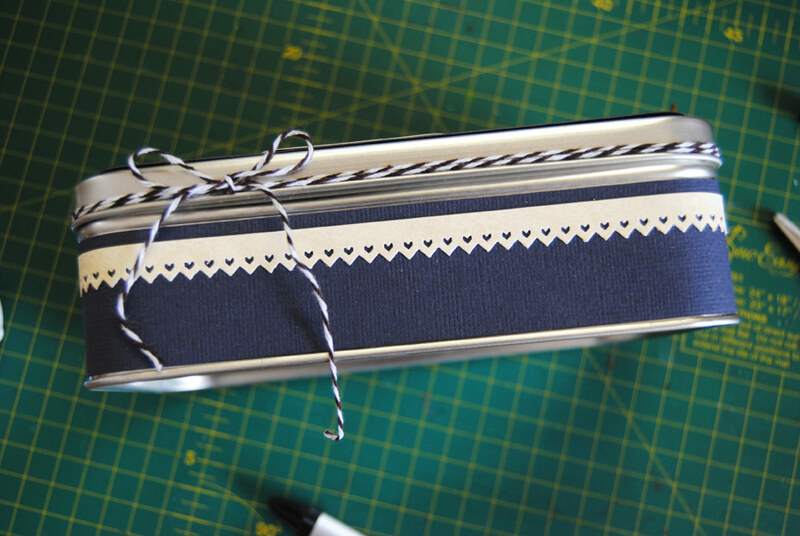 I use a border punch by EK Success to cut a masculine diamond strip to add a decorative touch to the base of the box. I secure the border strip with a very thin double sided tape. 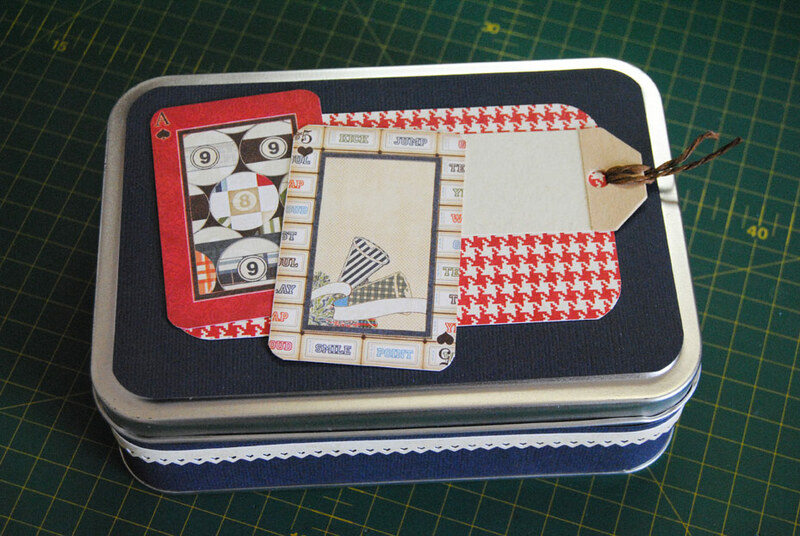 I cut another rectangle of paper, this time in the lovely red houndstooth paper included in the kit. I size it smaller than the original navy piece. This can be any size you would like, if you prefer more of the red, don’t size it down as much as I did. 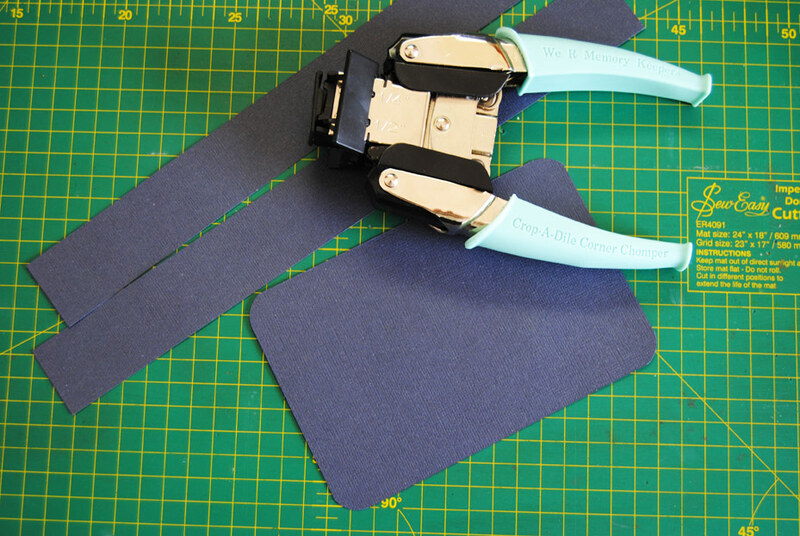 I also cut 2 mini cards from the gorgeous “cheer ‘em on” paper included in the kit. 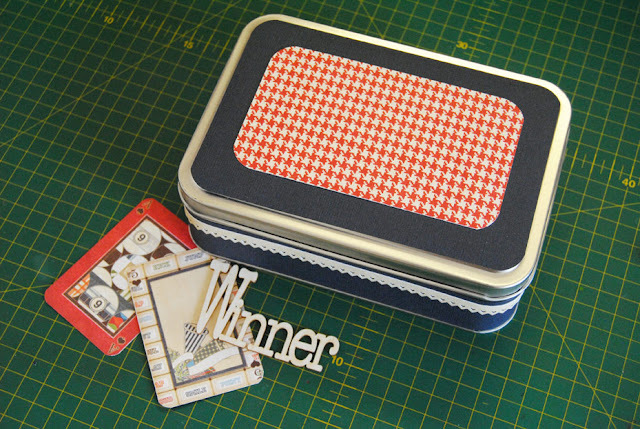 I adhere the 2 cards to the top as well as a tag from my stash. I spray the “Winner” chippie included in the kit with Mister Huey’s Color Mist in the color Classic Tan. I love the aged vintage look I ended up with. 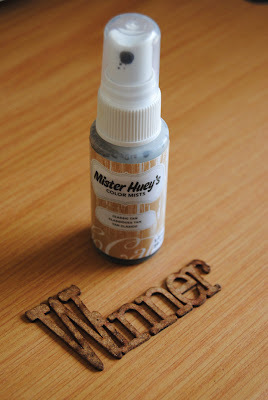 I spray a button chippie (from my stash) with the same Classic Tan, and pop it up with some adhesive squares. 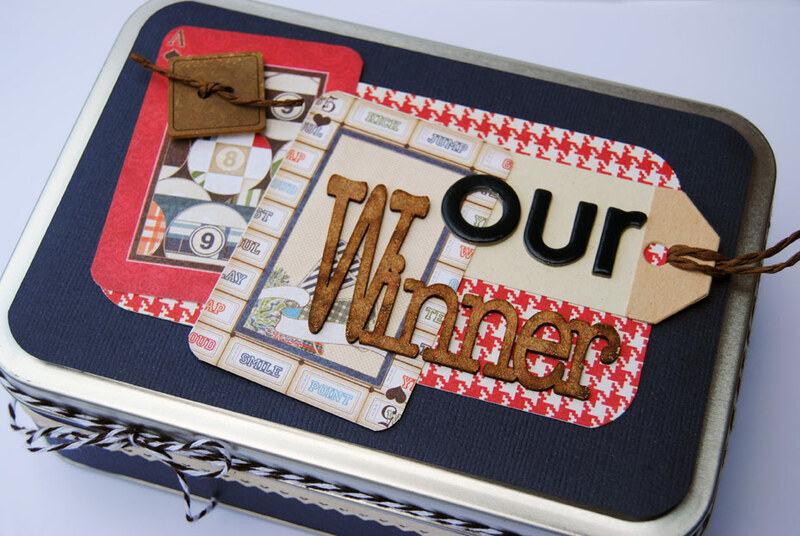 I also used the gorgeous FabScraps double page of letters for the word “our”. These letters are part of the kit, and really go a long way!!! 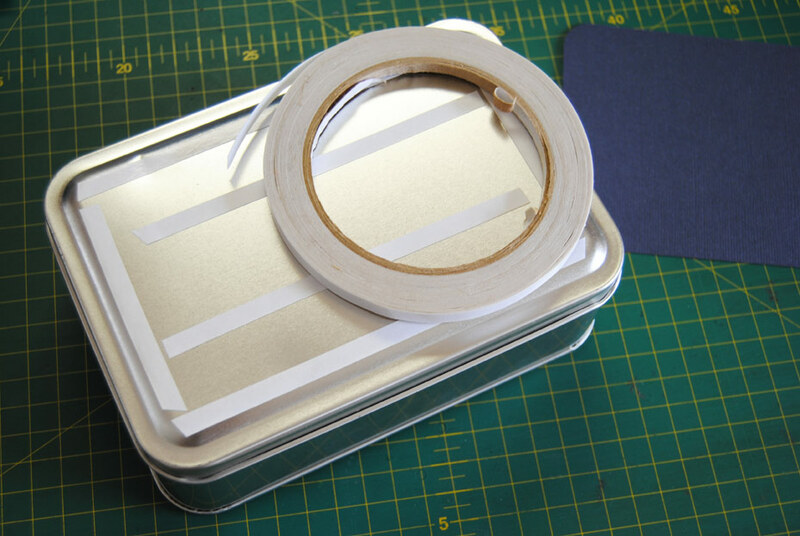 Using some of my very thin adhesive tape, I adhere some dark brown & white twine to the lid. I see Scrapbook Studio now stocks twine, yay!!! This is such a versatile product for cards and scrapping too! I don’t often make gift boxes, but I am super happy with the way this turned out. It will be perfect as a gift box for that special young man in your life!! This is so cute, Rene!! 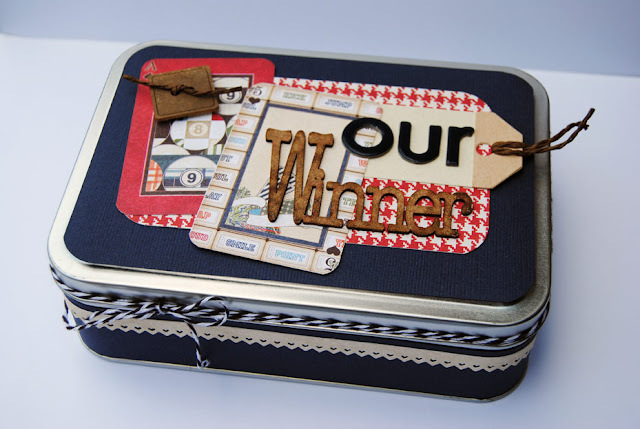 Love the tutorial and the wood veneer word is awesome on the lid of the box!! Extremely clever. I'd be delighted to receive such a thing in the mail. Pinned this.